Eric Pickles praises 'can freeze' councils who are saying yes to the government's offer to help keep local Council Tax payers' cost of living down at a critical time. The nation faces an unprecedented financial situation and every part of the public sector, including local government, which accounts for a quarter of all public expenditure, has a part to play in cutting the deficit. 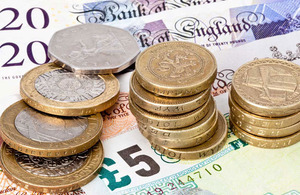 New figures show over 330 councils in England have so far indicated that they will be taking up the government offer to fund a Council Tax freeze in April through its £650 million fund. This gives authorities who do not put up their Council Tax a grant worth 2.5% of their Council Tax income. The freeze means local taxpayers living in an average Band D home in England could save up to £70. “I welcome the news that almost every council has said it wants to take part in the government’s £650 million Council Tax freeze initiative. A fair and progressive funding settlement for councils that protects front-line services and shields the most vulnerable communities with significant social challenges was confirmed last month. For example, residents in Hackney will receive £1,043 per head and those in Wokingham will receive £125 per head. £29.4 billion of council grant has been fairly distributed between different parts of the country - north and south, rural and urban, metropolitan and shire. As a result councils will only see an average 4.4% reduction in revenue spending power and none will now face more than an 8.8% fall. Local authorities have already been given full control over £7 billion of funding, all non-schools ring fenced grants have been removed, councils and the NHS are being brought closer together and the bureaucratic burdens associated with inspection and targets have been removed. Stopping a 5% Council Tax rise (the capping threshold in recent years) would therefore save £71 in 2011 to 2012. Should an average 2.5% rise have occurred the saving would have been £35.